BRUSSELS (Reuters) – Soldiers patrolled the streets of Brussels and police detained five more people on the third day of a security lockdown on Monday, as Belgium hunted a suspected Islamist militant who has been on the run since the attacks in Paris. 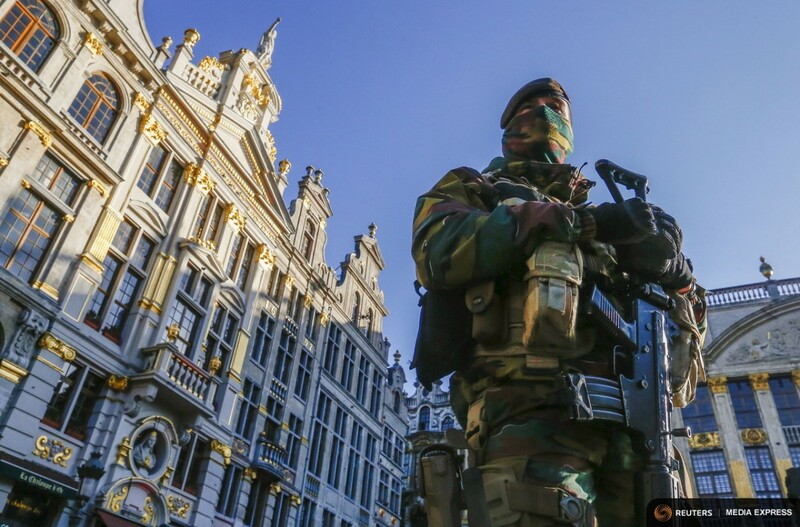 Authorities are still warning of possible imminent attacks like those in the French capital this month, in which 130 people were killed, and hunting Brussels barkeeper Salah Abdeslam, who returned to the city from Paris hours after the Nov. 13 attacks. Police did not find Abdeslam, whose brother blew himself up in Paris, in 22 raids late on Sunday when 16 people were detained. 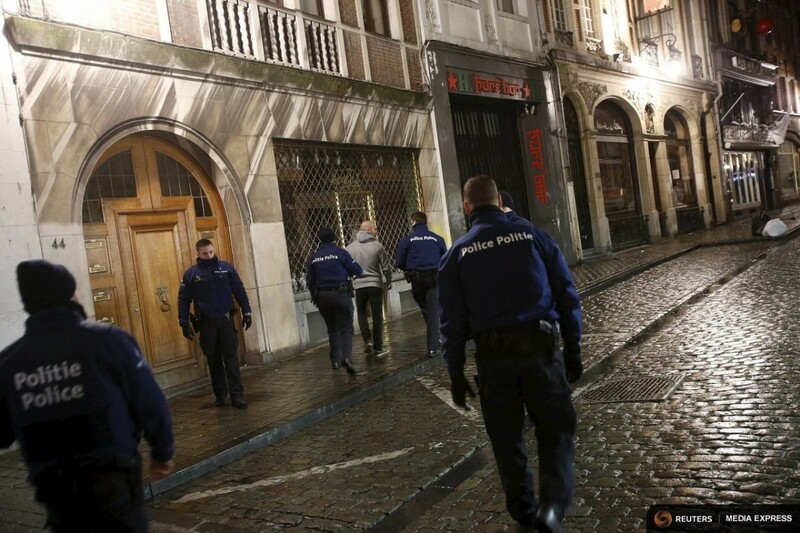 Five more people were arrested during searches of seven houses in the Brussels and Liege regions early on Monday. Police have given no details of those held. No weapons were found on Sunday but 26,000 euros in cash, found at a single site, was seized by prosecutors. The metro, museums, most cinemas and many shops will stay shut on Monday in the usually bustling EU capital where many staff have opted to work from home. There was also no school or university for almost 300,000 students. NATO, which had raised its alert level since the Paris attacks, said its headquarters in the city were open, but some of its 1,000 staff had been asked to work from home and external visits had been cancelled. 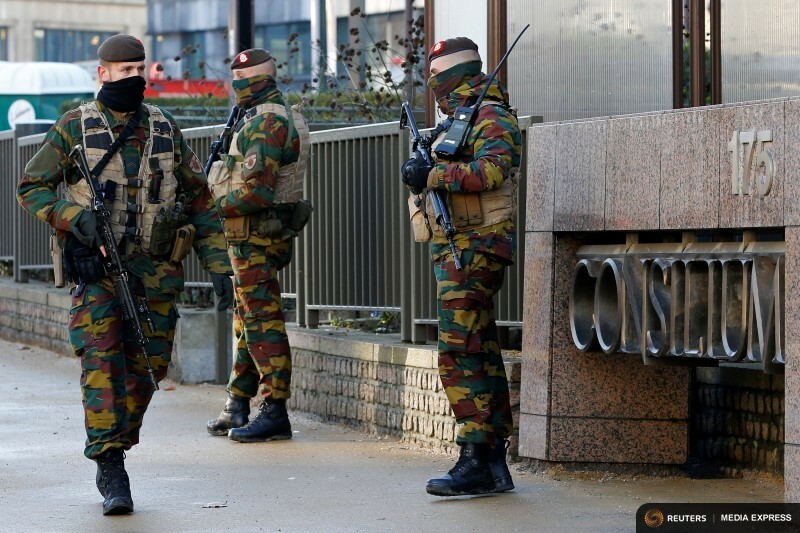 EU institutions, which employ some 21,000 people in Brussels, were also open with the soldiers patrolling outside. Workers were also setting up stalls for the city centre Christmas market, which is due to open on Friday, and local organisers of the Davis Cup tennis final between Belgium and Britain in the city of Ghent, 55 km (35 miles) to the west of the capital, said it would go ahead this weekend. However, Belgian prosecutors said on Monday that a BMW car that failed to stop for a routine check near Liege, close to the German border, had been found and inquiries showed there was no link to the Paris attacks investigation. 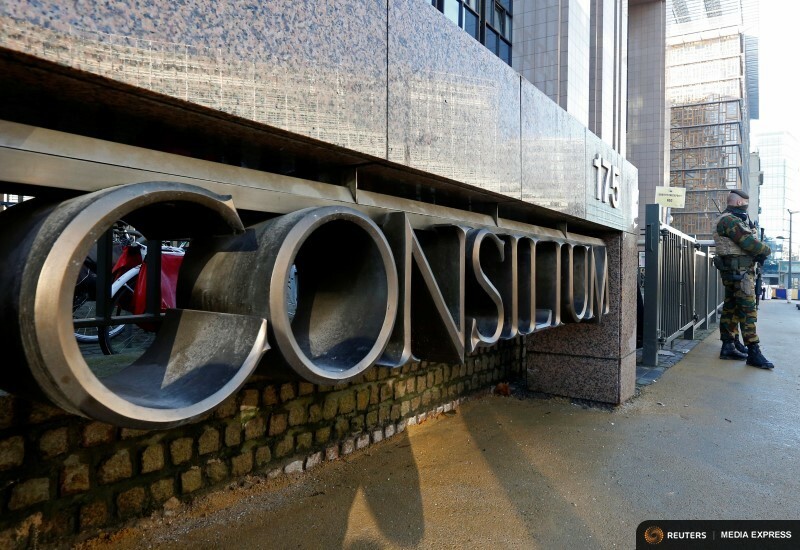 Shares on the Brussels stock exchange initially dipped, but had recovered by mid-session. The Bel-20 blue-chip index, which includes brewer Anheuser-Busch InBev <ABI.BR> and chemicals group Solvay <SOLB.BR>, was up 0.1 percent at 1300 GMT. Belgium has been at the heart of investigations into the Paris attacks after French law enforcement bodies said two of the suicide bombers had lived there. Three people have been charged in Belgium with terrorist offences, including two who travelled back with Abdeslam from Brussels. PARIS (Reuters) – European authorities need to be able to tap into data from the SWIFT bank payments network as part of a push to clamp down on the financing of militant groups, French Finance Minister Michel Sapin said on Monday. Sapin said that the SWIFT system had two computer servers, one in Europe and one in the United States, but that Europe currently relied on U.S. authorities to collect and analyse the vast amounts of data flowing through it to detect security issues. Efforts to curb financing of militant groups have intensified since the attacks in Paris on Nov. 13 by Islamic State-backed gunmen and bombers. Belgian-based SWIFT, or Society for the Worldwide Interbank Financial Telecommunications, operates services transmitting letters of credit, payments and securities transactions among 9,700 banks in 209 countries. SWIFT says on its website that it is subject to binding requests to provide the U.S. Treasury with data from its European server “for the purpose of the prevention, investigation, detection or prosecution of terrorism or terrorist financing”. BRUSSELS (Reuters) – At the end of what usually is a busy lunchtime with customers from nearby offices flocking to his leather goods store in one of Brussels’ main shopping streets, manager Karen Arkelyan planned to close early on Monday. “This is catastrophic, really very bad. We only had two or three tourists randomly walk in today. Most things are closed around here because of the security threat, people work from home, there are no buyers,” he said. His shop lies on the Chaussee d’Ixelles in central Brussels, the Belgian and European Union capital that has been in a security lock down since Saturday over what the authorities say is a “serious and imminent” threat of an attack akin to the Nov. 13 one in Paris that left 130 people dead. 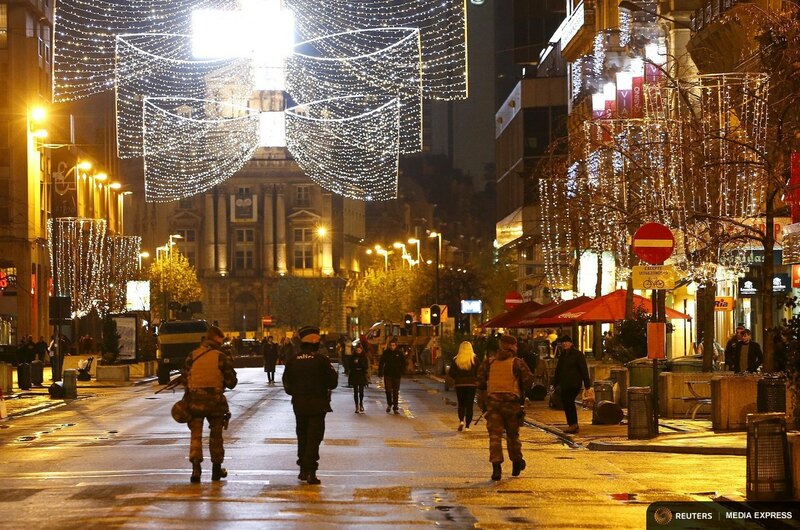 With metro system, schools, universities, shopping malls, museums, cinemas, many restaurants and shops closed in Brussels, a city of 1.2 million, business people worry about the economic costs of the tightened security. Shops as well as tourist attractions – hotels, restaurants, museums and other culture venues – have so far been affected most visibly. “It’s worse than the economic impact the attacks had on Paris itself. It’s the psychological effect, people are anxious, they are expecting something to happen,” said Olivier Willocx, head of the Beci chamber of commerce, which has 30,000 companies as members. “In Paris, they want to show they have survived, that their lives go on. Here it is the opposite: it didn’t happen and people fear it will,” he said, adding that some downtown Brussels hotels saw 40 percent of bookings for last weekend cancelled at the last minute. Some tourists, especially from the United States, were calling off visits planned as long ago as February, he said. The lockdown comes on the eve of the Christmas tourist season that usually starts in December, a vital period for the city’s around 150 hotels. Brussels’ main Christmas fair, which attracts around a million people, is due to open on Nov. 27. “If it only is Saturday-Monday, the businesses can handle it. If you can’t get your jeans today, you will get them next week. Museums will have a worse day or two but it will be manageable in the end,” said Sanderijn Vanleenhove, spokeswoman for the UNIZO association, which has 85,000 members among small and medium enterprises in Brussels and Flanders. “But if it goes on for several more days or weeks – it’ll become very problematic,” she said. Brussels had 3.3 million visitors in 2013 as tourism rebounded after a flat 2012, largely because of improving consumer and business confidence and a wider economic recovery from the financial crisis. The industry grew again in 2014, according to Brussels’ tourism office. 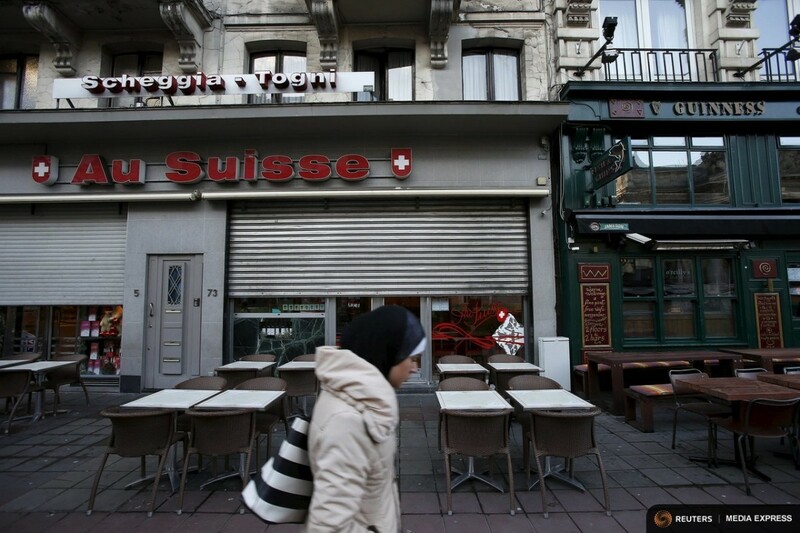 The problem was visible at Chaussee d’Ixelles, where between a third and a half of shops were open at lunchtime on Monday. Major international companies from French book and music retailer FNAC to fashion giant H&M were closed. McDonald’s was open – its entrance guarded by three soldiers – and some smaller or private shops were also open. The two largest cinemas in Brussels were closed over the weekend and on Monday, as was the Atomium museum, a massive stainless steel construction offering a panoramic view of the city. Britain’s Davis Cup team with Andy Murray delayed their departure to Belgium over security but the tennis tournament is still due to take place in Ghent, 55 km (35 miles) from Brussels. Brussels has a large expatriate community tied to the European Union and NATO, amounting to about 120,000 people, or a tenth of the entire city population. The European Council cancelled most of its meetings on Monday, with only a meeting of finance ministers of euro zone members going ahead. The European Commission said staff were told it would work normally, though with additional security measures. NATO headquarters were open but some of its 4,000 staff were asked to work from home and external visits were cancelled. BARI, Italy (Reuters) – Suspected Paris attacker Salah Abdeslam travelled through Italy in August with a companion, but his presence caused no alarm because he was not a wanted man at the time, an investigative source said on Monday. His companion was Ahmet Dahmani, a Belgian man of Moroccan origin who was arrested in Turkey last week on suspicion of involvement in the Nov. 13 Paris attacks, the source said. Separately, prosecutors in the southern Italian city of Bari have opened an investigation into suspected Islamist militants who passed through the port on about five different occasions between February and August on their way to Greece, another investigative source said. This investigation has no apparent connection to the Paris attacks, the source said. Prosecutors suspect that militants, using false documents, are travelling through Italy en route to Syria. 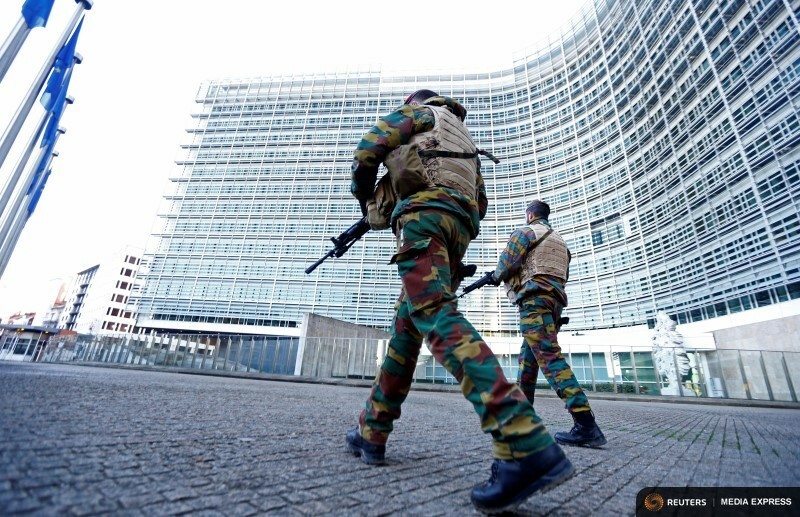 The cases show the difficulties of policing and collecting intelligence in the 28-member European Union, where each country’s security forces work independently and have different priorities. Abdeslam is a French citizen and could therefore travel freely between countries in the European Union’s Schengen area, where there are no border controls. Since the attacks, some countries have imposed temporary controls and there have been calls for the borderless system to be scrapped. 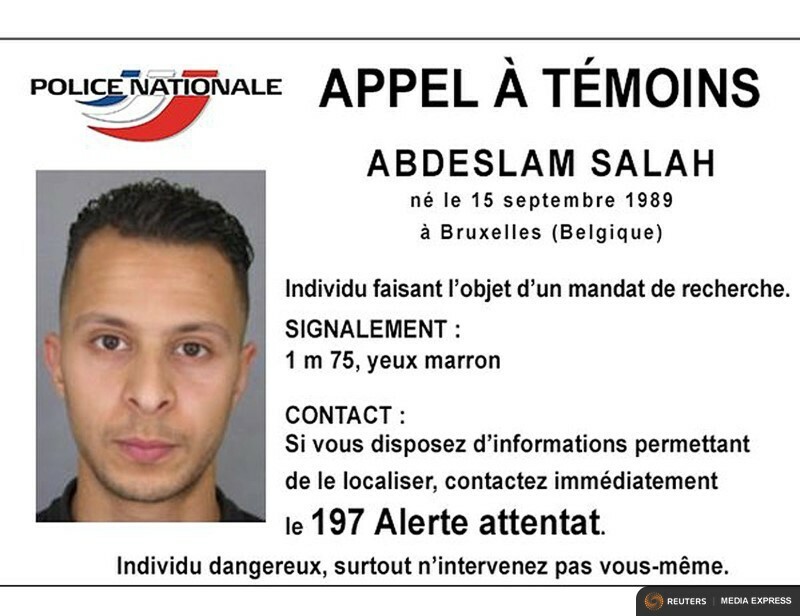 Abdeslam, whose brother blew himself up in the Paris attacks, has been on the run since the assault that killed 130 and is the focus of a massive manhunt. He boarded a ferry in the south-eastern Italian port of Bari on Aug. 1 en route to Patras, Greece, the source said, with another man. Abdeslam returned from Patras to Bari by ferry on Aug. 5. The source gave no further details. In an interview with an Italian Web site on Monday, Interior Minister Angelino Alfano confirmed Abdeslam had passed through Italy. “The point is that they were citizens with European passports and … they were not wanted” by police, Alfano said.